WHEATON, Ill.—Crossway is pleased to announce the launch of The Crossway Podcast, which debuted on April 1, 2019. This interview-based podcast aims at helping Christians think biblically about God, themselves, and the world. Episodes of The Crossway Podcast will be posted weekly on Mondays, featuring casual conversations on the issues, ideas, and doctrines covered in new and best-selling Crossway books. The first three episodes of The Crossway Podcast are now available on iTunes, Spotify, Stitcher, and other podcast directories. For more information, visit crossway.org/podcast. 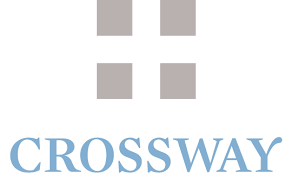 Founded in 1938, Crossway is a not-for-profit global Christian publishing ministry that publishes gospel-centered, Bible-centered content, to honor our Savior and serve his Church. Crossway seeks to help people understand the all-encompassing implications of the gospel and the truth of God’s Word—for all of life, for all eternity, and for the glory of God alone. Crossway is the global publisher of the ESV® (English Standard Version®) Bible, more than 1,000 Christian books, and an extensive list of gospel literature. For additional information, visit crossway.org.